InnoTech was originally known as Vision Technologies which was established as a sole proprietorship within Connecticut in 1992. In 2009, the company was reorganized as a Limited Liability Corporation (LLC) and was renamed InnoTech LLC. In June of 2011, InnoTech acquired Promotional Channels LLC of Groton Connecticut. This increased the scope of services which InnoTech was able to provide to our customers. Today, InnoTech is a leading Connecticut website design company which focuses on delivering premium website design, mobile website design, and hosting services, along with a complete range of professional marketing services which include: social networking, Facebook integration, and Search Engine Optimization services. InnoTech is a registered LLC within the State of Connecticut, Business ID 0971259. 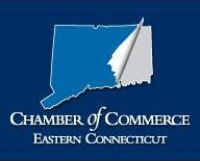 InnoTech is involved in local CT and RI chamber of commerce groups and participates in the Coastal Business Network International (BNI) chapter in Waterford CT. If you like, you can connect with us at a local chamber of commerce event or BNI meeting. As a Connecticut website design company, InnoTech offers a variety of technology and marketing oriented services for your Connecticut or Rhode Island small business. While we enjoy working locally with these small businesses, we also have a variety of clients located throughout the United States and Europe. By offering a variety of marketing and technology services, you are able to work with a single provider for all of your small business marketing and technology needs. We attempt to truly partner with our clients to provide a valuable, trusted relationship over time – helping to grow and support your business even as it evolves over time. Typically, you would need to engage two or more companies to obtain the variety of support which InnoTech provides. Working with a single professional organization saves you time and money and leads to a higher quality end result. Below you will find a partial list of the many Connecticut and Rhode Island small businesses and non-profit organizations which InnoTech is proud to serve.